FreshBooks is an online invoicing service that allows freelancers and small business owners to create, send and track online invoices and estimates for their customers. FreshBooks also offers the ability to purchase stamps in order to physically deliver the invoices for those users that want to save time and avoid interactions with the post office. Nowadays the company claims to send more invoices each month than the number of hairs on one person’s head (which is around 100’000). The service sees more than 100’000 unique visitors each month. In addition to the free plan the site offers 3 paid plans, starting at $19.95 per month; the paid plans offer additional number of clients that can be tracked as well as the ability to add multiple staff users to the same account. 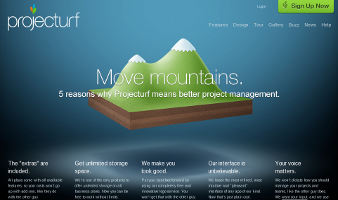 The company was founded in 2003 by Mike McDerment and Joe Sawada. Mike acts nowadays as the company’s CEO; its headquarters are located in Toronto, Canada. The company’s team currently includes more than 50 full-timers, including positions such as recruiters, web developers, art directors and software developers. 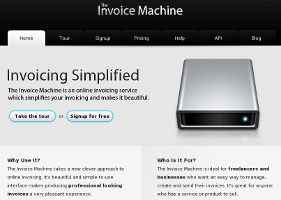 The InvoiceMachine.com is an online service which simplifies your invoicing and makes it beautiful. The service takes a new clever approach to online invoicing. Its beautiful and simple-to-use interface makes producing professional looking invoices a very pleasant experience. The site has a freemium model for up to 3 invoices per month; it charges money starting with the 4th montly invoice, up to a maximum of 48 USD per month for unlimited invoices. 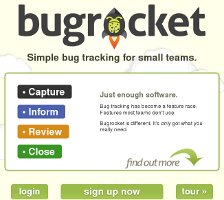 The interface is beautiful, simple and elegant, and Compete shows the site enjoys around 5’000 unique visitors each month. Based in Sweden, the product team is lucky to have found the right combination – the right set of features in a nicely-packed beautiful interface.